Palace Hotel Zagreb located in the center of the city. In an Art Nouveau palace dating from 1891. As a matter of fact, it is the first official hotel in Zagreb. Enjoy a superb location overlooking one of Zagreb’s most beautiful parks. TIP: Be sure to try out their amazing Palace Štrukli, a traditional dish of the Zagorje region and a part of the Croatian gastronomic heritage. Palace Hotel Zagreb has over 100 years of tradition in hospitality. In fact, it is the oldest official Zagreb hotel, categorized as a Heritage hotel located in an Art Nouveau palace dating from 1891. Since then, the hotel has been adapted several times. Today it combines modern technology and an old 19th-century secessionist style. The Palace 116 luxurious rooms are equipped with air conditioning, satellite TV, mini-bar, hairdryer, safe, as well as an option for smoking rooms. Palace Hotel Zagreb is recommended for Couples and Business travelers. We recommend it for couples because of its ideal location and romantic atmosphere. Business travelers will love its Superior Rooms cause of its features, peace, and comfort. The Palace also features modern conference rooms for business meetings, seminars, and presentations. The hotel also offers smoking rooms, but they are limited so be sure to mention your preference in advance. Pets up to 15 kg are allowed at a surcharge of 20 EUR per day. Kids up to 6 years old are free of charge. Kids from 6 to 12 years old pay 13 EUR per day. 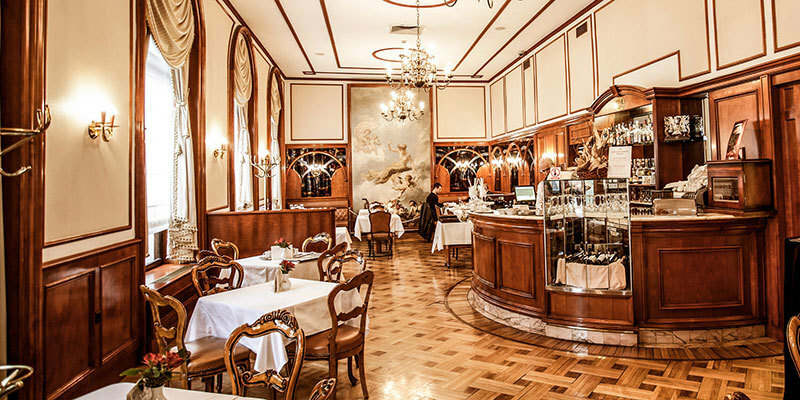 Palace Hotel Zagreb Restaurant is an ideal place for a morning coffee, a light breakfast or a quick business lunch. In its warm ambiance and the Secessionist interior offers a unique atmosphere. Rich Buffet Breakfast is served from 6:30 AM till 10:00 AM, so you have plenty of time to rest. Wellness Center MEI offers a little oasis in the heart of Zagreb. They offer a variety of beauty, medical and wellness services. Maintain your health and fitness at their saunas and relaxation zone. What is close by to Palace Hotel Zagreb? The hotel is surrounded by beautiful Zagreb parks, museums, galleries and the Academy of Science and Art. Anywhere you go you will run into an attraction. Josip Juraj Strossmayer Park is just across the street and it hosts several Zagreb events. The hotel is only a 5-minute walk from the Zagreb ban Jelačić Square and the Upper Town. Most Zagreb attractions are within walking distance. There is public parking available around the hotel, but we recommend the hotel parking. Parking is 10 EUR per day. For more information read our guide where to park in Zagreb.